'It is estimated that 36,000 elephants are killed each year - roughly one every 15 minutes. If the killing continues at this rate, campaigners say, there could be no elephants left in the wild in 15 years'. I was fortunate to meet the most beautiful, intelligent and loving elephant named Pang, whilst in Thailand this year. I knew my time with her was truly precious and rare. I remember staring into her deep dark eyes - wondering what she could be thinking. All I wanted to do was love her with all of my heart. Because so many elephants are treat unfairly and are killed in the most awful and horrific circumstances. I respect elephants, and will always store a deep love in my heart for Pang and many others like her. Very sad state of affairs(adore all animals, amphibians etc.) humans can be so destructive and cruel; all for greedy materialistic purposes. No morals whatsoever. I see you Alice getting up & personal with SE Asians finest local inhabitants, I'm taking adorably-human-like primates, the orangutan. Their habitat is being destroyed for dubious palm oil plantations(greed again:( )making the humble and intelligent primate species extinct :( . Linda, it really was life-changing. 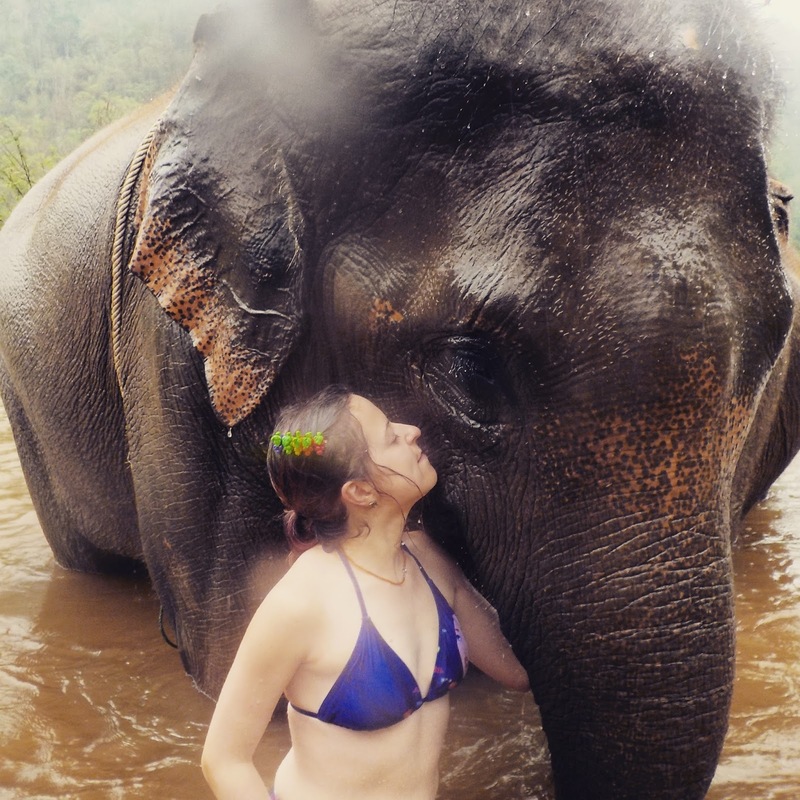 When we were planning our trip to Asia I dreamed of elephants, and seeing them in natural surroundings, but I never dared imagine getting so close to one. I felt safe and loved in her presence!